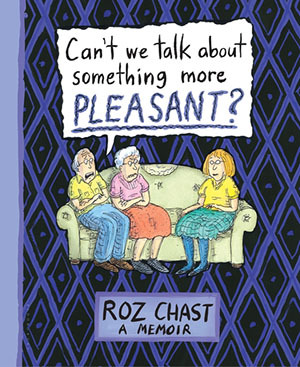 Roz Chast, a comic book artist and illustrator, has hit a nerve for those of us with elderly parents. She writes in a graphic memoir her journey with her aging parents as they slipped into the last stages of life, ending of course in death. Their decline forces Chast to make some tough choices to help her often difficult parents through these final stages. Her honest and funny memoir “Can’t We Talk About Something More Pleasant?” is a must read for all and another look at death that our society as a whole spends a lot of time avoiding. Here is an interview with Chast on Rumpus.net by Suzanne Koven. 1 – Country singer Marty Stuart was playing with only a piano player named Jim, to a sparse crowd at a flea market after hours when his cult tried to capture us. They drained the batteries of our phones so we could not call for help. They separated us and as they were grabbing me, I woke up. 2 – Soviet officials were filming us making the sign of the cross with mutli-colored beads or pills. This had to be done in a particular order. I woke up as we were asked to speed it up. 3 – An old friend said that a doctor told her she was going to have a stroke. I told her, “That’s OK, I have been feeling like I was going to have a heart attack for the last two days.” I woke up. Bonus Dream: I dreamt there was a gorilla on the deck. I just caught a glimpse of it. This frightened me so I woke up. Music Paul Watson & Video Arthur Stephens. 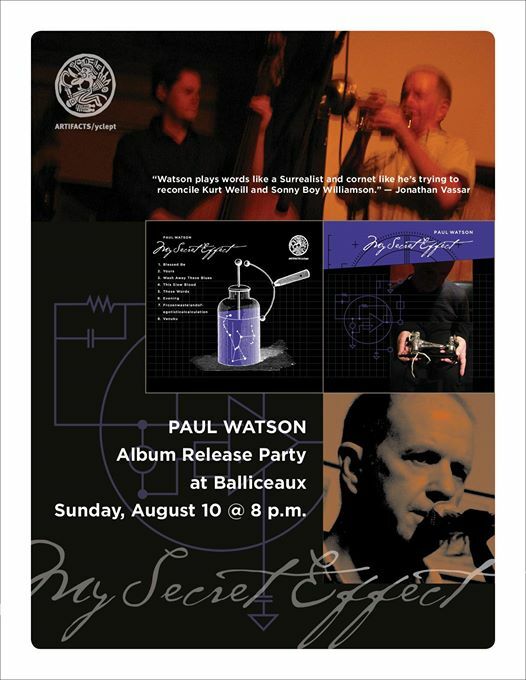 CD release party for Paul Watson’s “My Secret Effect” this Sunday, August 10th @ 8pm at Balliceaux on Lombardy Street in RVA. Some photos of the last time I saw Watson in RVA this past February. Last night we managed to make our way across the river to the northern end of the city to the town of Loversville. Lots of friends were there and the evening was something to remember. 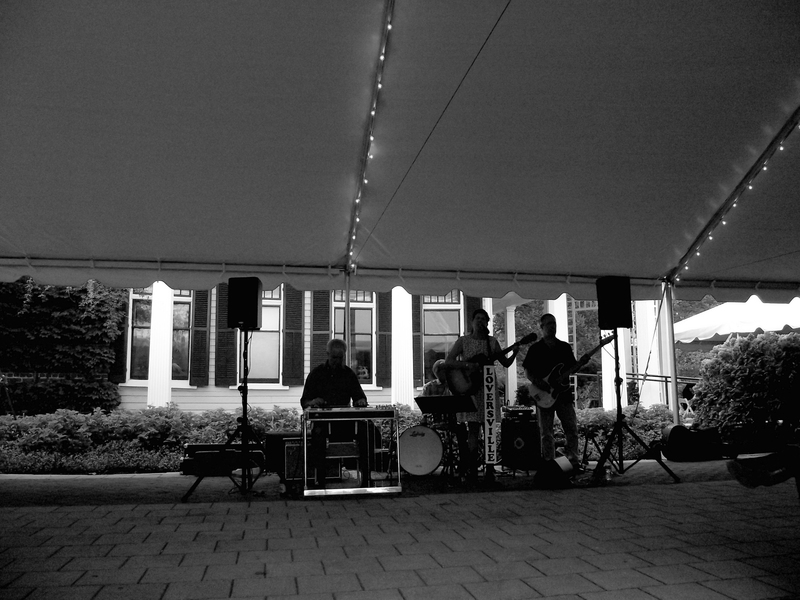 The weather was perfect and music filled the air. At some time during the evening it became very clear to me that I was left footed. I am not sure how this will eventually change my life, but I think it is time to get the drums out of the attic.